Circa 1938-1946: The large Vintage Fiesta teapot, with its outstanding round handle stands out as one of the largest pieces of Fiesta holloware pottery. 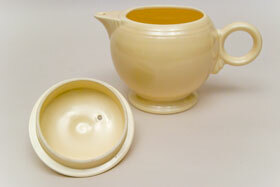 Slipcast with the ring handle included in the mold with the finial hand applied to the lid and the steam hole (if present, as in this example) was also hand drilled. 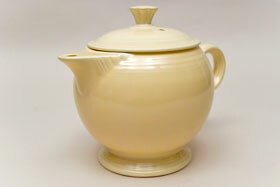 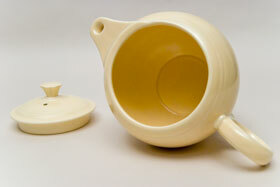 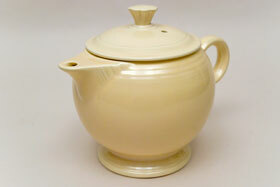 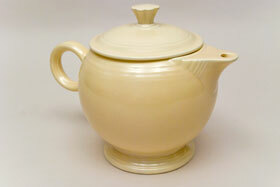 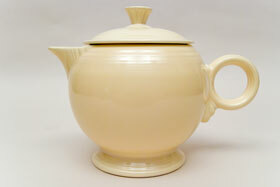 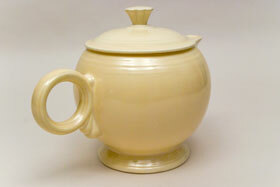 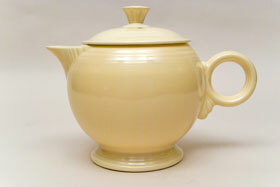 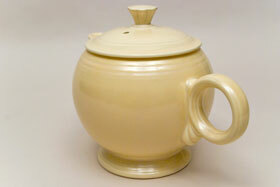 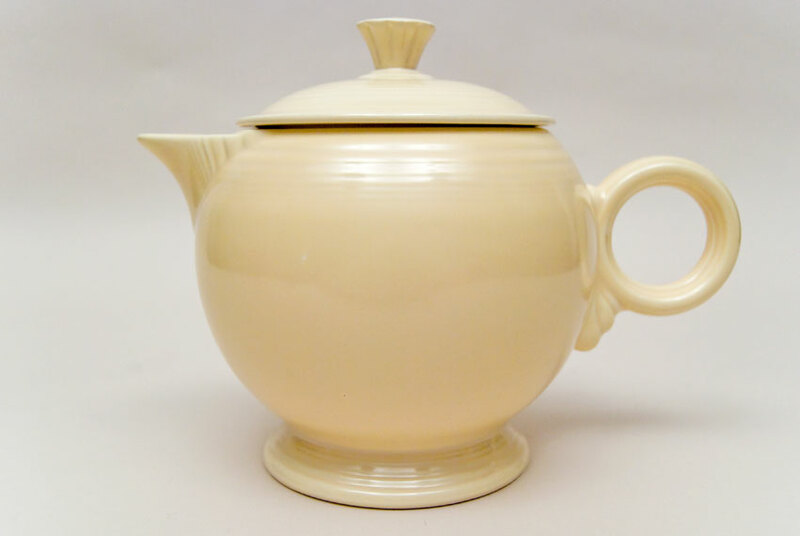 The large teapot is a favorite among collectors with its famous ring handle. 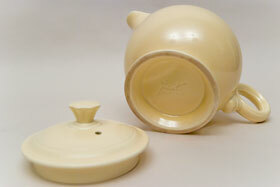 Made for a short time they are becoming harder to find in excellent condition. 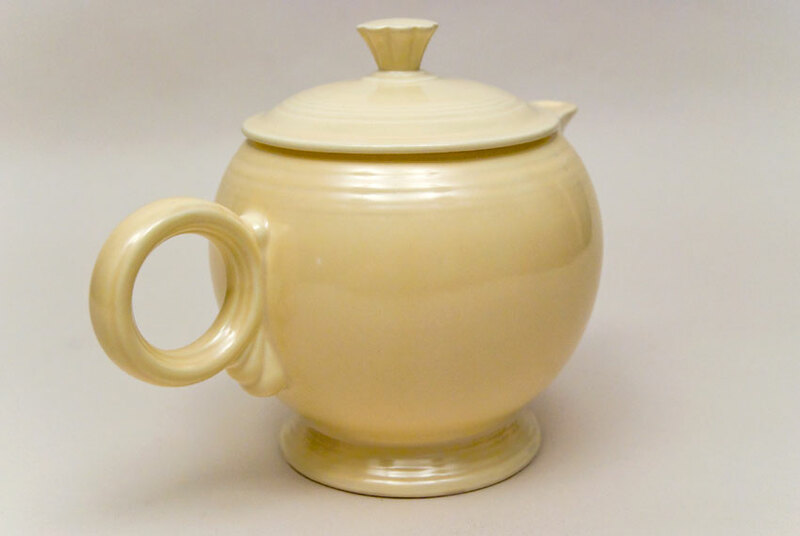 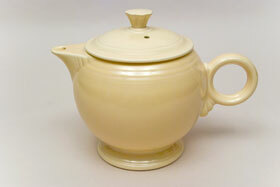 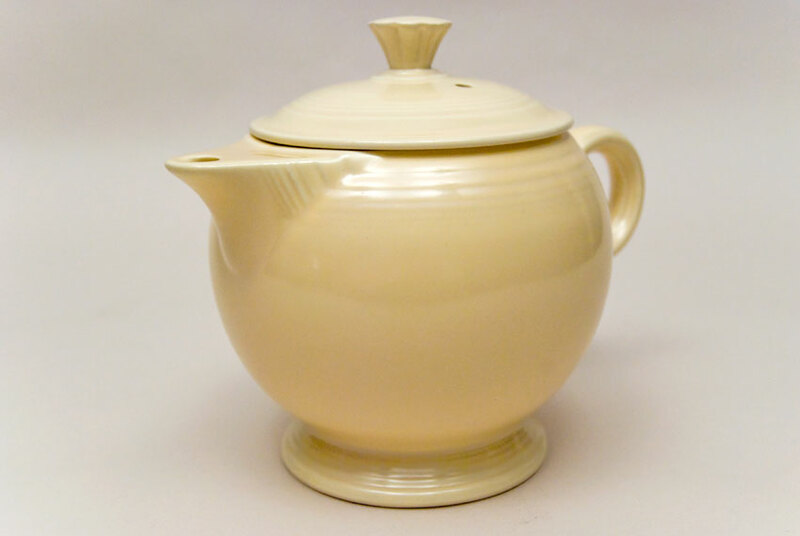 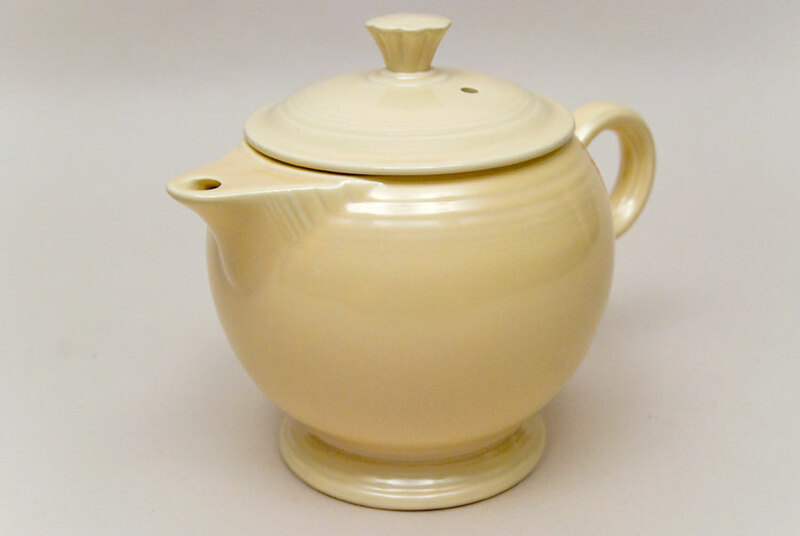 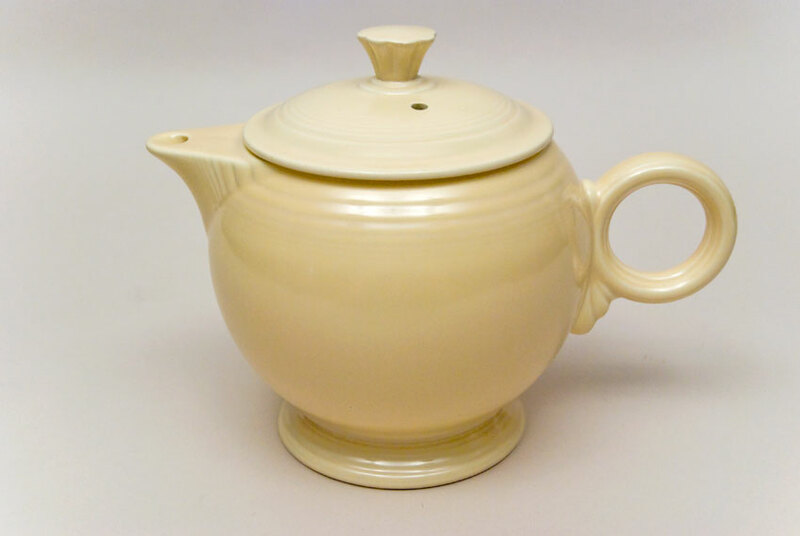 This example in ivory has a wonderful, even glaze with no damage or signs of use— absolutely gorgeous early Vintage Fiesta Ivory glaze in superb condition. Measures 6 11/16" h x 9 1/4" wide from spout tip to back of handle.Marked in the mold, with the earliest of the Homer Laughlin marks "fiesta HLC USA".